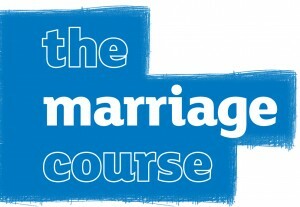 The Marriage Course at Uplyme Church. Regular check-ups help a car run smoothly and reduce the risk of breakdown. The best sports professionals spend hours being coached and perfecting their technique. The greatest achievements in life take practice, training and dedication. It is the same with marriage. A strong, loving and lifelong relationship doesn’t happen by chance. It takes effort and dedication to keep the fun and romance alive. We can all learn how to make even the happiest marriage better. The Marriage Course is for any couple who want to invest in their relationship, whether they have been together for a short or long time, whether they have a great relationship or may feel they are struggling. The course uses material from ‘The Marriage Course’, a course now run all over the world, it’s a great opportunity to spend quality time together and it’s really fun. Each session will start with a DVD presentation followed by discussion. There will be opportunities to discuss things privately with your partner (so guys, don’t worry you won’t be asked to bare your soul to everyone!). For more information please ring Uplyme Church office 444499. Everyone welcome!